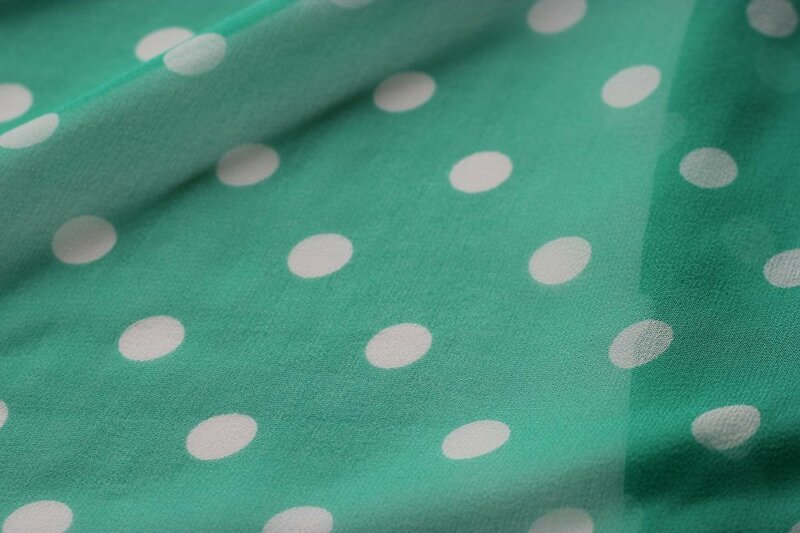 Add "happy" to your wardrobe with a blouse or scarf of green and white chiffons! For a special effect, layer one over the other! Positive/negative printed dots coordinate for your creative designs. 45" wide. 100% Silk. Copyright © 2007-2019 - Exquisite Fabrics, Inc.